One of six children born in Baltimore, Maryland, Nelson grew up in church. "Everybody in my family works in ministry," he says. "My father, James Nelson, was pastor of Greater Bethlehem Temple Church for over thirty years and my mom served as First Lady." Nelson's family was also musical. "My grandmother played piano," he continues. "I had two uncles who were musicians. We just grew up playing and singing in church." Nelson's musical abilities were further cultivated while he was a student at the Baltimore School for the Arts and Morgan State University where he studied under the esteemed choir director Dr. Nathan Carter. Nelson was soon traveling the globe and conducting choirs his self and working in the music department at his father's church. About fifteen of his friends and he would also get together and sing at church. When Karen Clark-Sheard was coming to perform at his church, she needed some backing singers and his friends stepped in. "It wasn't a formal group," he recalls. "It was just something we did and after we did that service with Karen, we really enjoyed working together and that's when we became Purpose." At the same time, Nelson had found a lucrative and comfortable income as an executive with a computer software company. Then, something happened to fuel Nelson's writing abilities. "Around 2001 when all of the dotcoms went down I was unemployed and that's when my passion for writing came alive," he says. "I began to write all these songs because I was living off of unemployment. That process took me through a whole thing because of my experience. The song 'Healed' definitely came out of that." Purpose had recorded the song "Healed" on their own self-financed CD in 2002. Nelson had met Grammy-nominated choir leader, Donald Lawrence, at a Washington, D.C. workshop in 2000. "When Donald heard 'Healed' he said, 'I'm gonna record that song.' He felt that message was what God was saying to the church at the time." Lawrence's words proved prophetic and his rousing rendition of "Healed" became a Top Ten gospel smash in 2005. 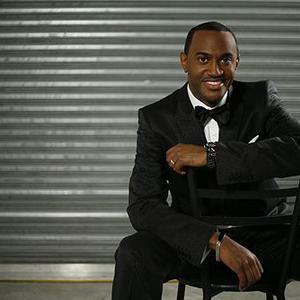 The icing on the cake was that the song won Nelson the Stellar Award as Songwriter of the Year in 2006. He was presented with the award by the Queen of Soul, Aretha Franklin. "I was so shocked that I won," Nelson laughs. "That I didn't even realize that it was Aretha who gave me the award." Perhaps, the greatest award is that Nelson's songs were now in demand. "I met Troy Sneed at a Gospel Music Workshop of America convention. He said that he had heard a song Purpose recorded called 'The Right Place' and that he wanted to record it." Sneed produced the song on Pastor Rudolph McKissick and it became a Top 5 Billboard gospel hit. It was through Sneed that Nelson would enjoy his biggest song yet. "Troy called one day and said that he was coming to Baltimore to record a group of youth," Nelson recalls. "He called me on a Tuesday and I didn't have a song that night. I wrote 'The Struggle is Over' in about ten minutes. The scripture for it comes from Deuteronomy 1: 6-8 in the NIV version. In that scripture, the Lord spoke to Moses to tell the children of Israel they could now come out of the wilderness and possess the land that God promised them in Canaan. So, for them, the struggle was over. So, during the recording that night, the kids were crying and Troy said, 'This will be the single.'" Indeed, it was the single. Released in the winter of 2006, the congregational ballad became the surprise hit of the summer when it spent 12 weeks at #1 on Billboard magazine's Hot Gospel Songs chart. "I never thought it was single worthy," says Nelson. "It didn't sound commercial to me but I apologize for that because obviously the song has resonated with many, many people and touched them." It was that spirit of touching hearts and minds that permeated Nelson's self-financed concert recording in December 2006. "I undertook that whole project without even knowing if any recording label was going to release it," Nelson confesses. "I took a risk." Then, Troy Sneed's publicist introduced Nelson to Integrity Music consultant Stacy Merida, who then brought Nelson to the attention of executives at Integrity Music and helped fashion his recording agreement. Now, that live recording which features cameos by William Murphy, Nikki Ross and Sheri Jones-Moffett is finally making its brilliant debut. "My whole concept is dealing with success, victory and triumph," says Nelson. "I expect supernatural success. This CD was in response to the success of 'The Struggle is Over' in 2006. The theme of songs like 'My Name is Victory' and 'Champions' are all in response to the success that God has given us." "Most songs I get from sermons," Nelson explains. "It comes from divine inspiration. The speaker might say one word but that one word goes into a whole thing. The song 'Capacity' came during a service. My father was preaching and while he was preaching, I started writing that song." There was another time when Todd Hall was prophesying in a church service and "he said to turn to your neighbor and say 'my praise causes things to look bettah' and instantly every word of that song 'Bettah' was written right there in the service." is Chris Tomlin's "How Great is Our God." Nelson says, "I heard it at a worship service and it spoke to me. It's an intoxicating song. A whole church no matter what race, creed or color can sing along to it. It became an anthem at my church." An anthem for Nelson's personal life is the title song, "Right Now Praise." He says, "I wrote that during a difficult time in my life back in 2003. I was on the verge of losing my home and my car. I was working as a substitute teacher. I was in a very low place. My car is my mediation place. I was crying down the road and started singing a melody to the Lord and that's when 'Right Now Praise' came to me. I had to rush into school and get to my tape recorder and put it down before I forgot it. Everything with this project is timing. I feel like its time for whatever God has for me to do right now. This is my God ordained time for my life.